Times are tight. The economy has been like Mr. Toad’s Wild Ride and talk of debt, inflation, foreclosure, bailouts, and bankruptcy have been inundating the headlines. To make matters worse, it’s holiday time! Which means parties, cheer, and… gifts. But the economic atmos-fear doesn’t have to hamper your holiday giving. There are plenty of ways to make those pennies stretch a little further. Some good news… Because of the straits we’re in, companies are offering good deals. Whether it’s bonus rewards points, buy now pay later (Suze Orman moment: don’t go crazy, especially if you’re already in deep), or big discounts, retailers are doing their best to get you buying. Research… Check local papers and online to see what deals are being offered. Read fine print and see if companies offer price matching. It doesn’t hurt to ask and might save you a few pennies. Rewards points… One of our favorite tricks is to redeem rewards points for gift certificates and then give those as gifts. It’s like an extra $25-$100 we didn’t have to spend. Clever, huh? Donations… You can make a donation in someone’s honor. Let’s face it, we could all use some pruning when it comes to “stuff,” and a donation is thoughtful, helps others, and gives you a tax write-off. Make… Still no luck? How about something homemade? Baked goods or knitted wear makes a very thoughtful gift. Regift… Desperate? 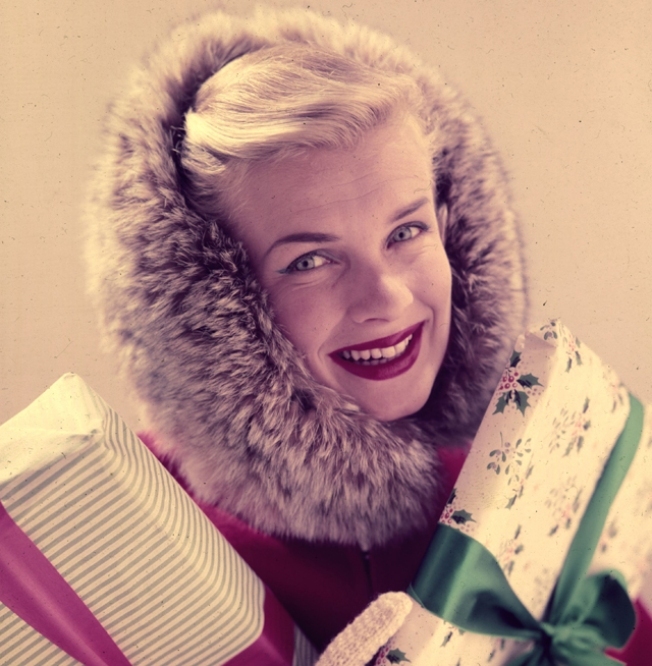 If you’re not that crazy about the recipient, but feel obligated to give a gift, then take a trip to your own personal boutique (as my grandmother used to say). You might find something to help you out in a pinch. Bulk… You know that awkward “are we in a gift-giving type of relationship?” question. Whether it’s a co-worker or acquaintance, no one likes that feeling of being given a gift from someone and having nothing to hand back in return. Find a selection of little knick-knack gifts and buy them in bulk. This will help you save a few pennies on the gift and the stress saving is priceless.